The styles of guitar lessons we teach are: Slide Guitar, Flat Picking, Jazz, Sweeps, Metal, Pop, Finger Style, Classical, Spanish, Flamenco, Country, Travis picking, and many more. Kevin Mittleman: Happy and amazingly talented, Kevin is a graduate of Berklee College of Music. He studied one-on-one with the legendary John Abercrombie, Mick Goodrick, and Mordy Ferber. He specializes in learning the Guitar in its entirety – learning Songs, Sight Reading, Theory, Technique, and Composition. Stylistically he focuses on Jazz, Rock, Classical, and World Music. Additionally, Kevin is an experienced composer (film scores for the United Nations), a touring and session musician, and frequently performs in the MD/VA/DC area. Kevin offers in-home lessons as well as lessons in-studio. All levels welcomed. Instruments: guitar, ukulele, mandolin, and banjo. All styles. 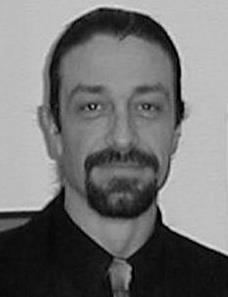 Glenn Flaherty: Glenn is the host of the “Don’t Fear the Theory” instructional series and has audio, TV, and film credits as an educator and performer. A great communicator, Glenn has been a national performer at the Philly Folk Festival and a featured author and contributor for Yahoo and other media companies. A graduate of University of Maryland, he has had private training with famed slide guitarist Mike Auldridge and has performance credits throughout the United States and Europe including performing for audiences of 30,000+ at various festivals. He is an Ovation Guitar award recipient for Best Instructional Video. Instruments: guitar, harmonica, electric bass, tin whistle, recorder, accordion, and ukulele. Styles: blues, rock, classical, slide, and folk. Ney Mello: Electric, Acoustic, and Classical Guitar, and electric bass. Consultations by appointment. He is a Berklee graduate and an international performer. Top 10 recording artist, and Endorsed performer, and World Famous Al Di Meola raves of Ney’s playing. Prolific author and Educator in the “Maximum Speed Picking” Video Series. You can’t get much better than that! Julie Bergmann: Julie is a prominent, classically-trained voice and piano teacher who enjoys teaching a variety of music styles to all kinds of students. She loves arranging piano and voice pieces to match her students’ abilities. She studied under Judy Kotok at Longy Conservatory, and later with Geoffrey Dana Hicks in the New England Conservatory Youth Chorale, with whom she completed concert tours in Italy and Austria. After studying privately with Soprano Jean Danton, she attended Trinity College and joined the Chapel Singers with world-renowned organist John Rose, doing concert tours in the U.S. Virgin Islands and Buenos Aires, and was a soloist in the Concert Choir with Gerald Moshell. She is also a trained special education teacher, working with students with a variety of learning differences. Instruments: voice and piano. All styles. Connie Hughes: Very warm, encouraging, and nurturing, Connie was born and raised in Belfast, Northern Ireland. She began taking piano at the age of five and completed her formal education in Piano Performance and Teaching from the London College of Music in 1985. She has been giving private piano lessons since 1976. She was one of the piano tutors at Stranmillis University in Belfast from 1999-2010. Over the years she also has had a busy itinerary as an accompanist at various festivals and events. Her passion is teaching piano one-to-one no matter what age. Connie moved to the United States with her family in 2010, having lived and taught in Northern Ireland, Germany, Switzerland, and Scotland. She is one of our most sought after instructors. Instruments: piano. All styles. 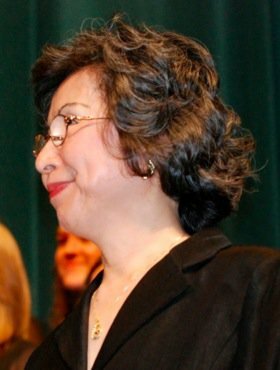 Fumiko Reeder: Mrs. Reeder is in her eighth year as accompanist of the New Castle choir department. A native of Yamaguchi and Kobe, Japan, Mrs. Reeder is a graduate of St. Catherine University in Matsuyama, Japan where she received her Bachelor of Arts in Piano Performance. After moving to the United States, she studied piano performance at Taccoa Falls College in Taccoa, Georgia. She currently holds memberships with the American College of Musicians and the National Guild of Piano Teachers, to which she was named on the “National Honor Roll” in 1999. An accomplished pianist and teacher, Mrs. Reeder’s piano students have received national recognition from the National Guild of Piano Teachers, the Music Teachers National Association (MTNA), the Society of American Musicians and the National Arts Recognition Program. Instruments: piano. All styles. Robert Rohr: Kind and encouraging, Robert is a graduate of the Shenandoah Conservatory with a Bachelor’s Degree in cello performance and a minor in piano performance. He is part of the Frederick Symphony Orchestra and was an Oklahoma Youth Orchestra Section Leader. He has also studied with Clyde Thomas Shaw of the Audubon Quartet, and Thomas Zieba at Oklahoma City University. In the winter of 2016, Robert toured Argentina with John O’Connor and the Shenandoah Conservatory Symphony Orchestra. Instruments: violin, cello, viola, and piano. Courtney Daley: Encouraging and full of life, Courtney is an excellent teacher. With a Bachelor’s Degree, an Associate’s Degree, and certifications, she is a student of music, film, and history. She brings a wealth of knowledge and a broad range of ideas and styles to teaching. She has degrees from Washington Adventist University, George Washington University, and Montgomery College. She has been teaching for over five years for students of all ages. Instruments: violin. Lauren Dubransky: Lauren received her BS in music education from Lebanon Valley College in 2011. She was a substitute teacher for several years. Though her primary instruments are violin and viola, she currently works as a vocal general music teacher for Prince George’s County Public Schools in 2015. She has taught private violin, viola, and cello lessons since 2011. In 2017, she joined the DC Community Orchestra as a violist. As a private teacher, Lauren looks to have students play with proper technique. This allows for students to branch into their favorite styles and genres. She enjoys teaching students of all playing levels aged middle to late elementary to retirement and past. Instruments: violin, viola, and cello. Sepeher Aazami: A very talented and upbeat young man, Sepehrdad Is a violinist in the University of Maryland Symphony Orchestra. He’s taught students from beginner to advance for more than 10 years, guided students participating in inter-school musical shows, competitions and different musical presentations-Fests and orchestras. He began playing the violin at the age of 9 with sight singing and ear training at age of five.. He started his musical journey by studying violin under Iranian and Russian instructors. He also plays traditional Iranian music on the Violin, and Kama ncheh. He earned his Bachelor’s degree at the the University of Art & Music in Iran in Classical Violin Performance. Throughout his professional career, he has collaborated with numerous prestigious ensembles such as Iranian National Orchestra. He has composed for a wide range of dance performances, from Western modern dance to Eastern folkloric traditions. Sepehrdad has participated in several concerts including Kennedy Center, radio, TV shows, and festivals. Sepehrdad strives to teach his students at the level that was present in his education. He finds this works best due to the rigor of course, because students become devoted to the fundamentals of music. While it is a path that is extremely difficult, it makes students appreciate the music they are playing at a deeper level of understanding. He believes that any student with the proper foundation can become great with their instrument of choice, and he aims to make violin students great with their selection. Instruments: violin and viola. Rodrigo Tarraza: Multilingual and warm, Rodrigo is a fantastic addition to our school. He is an international performer throughout Europe and now resides in the Metro area. He studied with Barthold Kuijken at the Royal Conservatory, The Hague, and is a published musician in Europe and South America. As conductor for his own Classical quartet and Jazz trio, Rodrigo is an experienced pro with a great personality and commitment to excellence that all students seek. Instruments: clarinet, saxophone, and flute. All styles. Elizabeth Anthony: Energetic and kind, Elizabeth is a degreed educator. If you’ve ever dropped by the School, you most likely have met Elizabeth. She is one of our most tenured staff members and beloved by all who cross her path. She is hailed for always going the extra step to ensure student success. Instruments: trumpet. If you have stopped by or given the school a call on a weekday, chances are you have met David. David, soft spoken but very energetic, shares a love of music with everyone at the School. He plays Bachata, a popular genre of music from the Dominican Republic, as a lead guitarist at local venues around the D.C./Metro area.